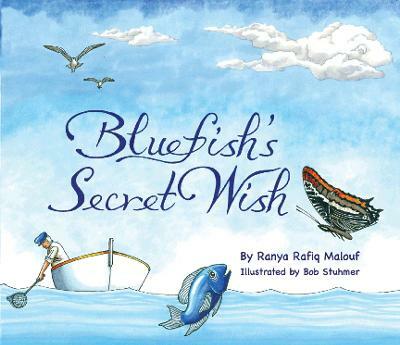 My name is Ranya Malouf and I am a Long Island, New York - based author of the just released children's book "Blue Fish's Secret Wish". It is a story of two friends that encourage each other in believing in the power of dreams. I grew up in Jordan and I was one of four sisters. We were a middle class family. Although we did not have much money, we never forgot to give and help those families and children less fortunate than us. These values were taught to me by my parents and stayed with me my entire life. This created a giving spirit and friendly nature in me. Sara is the main character in "Blue Fish", and is inspired by my cousin Sara who was diagnosed with brain cancer at the age of 2. Blue Fish represents everyone's hopes and dreams. 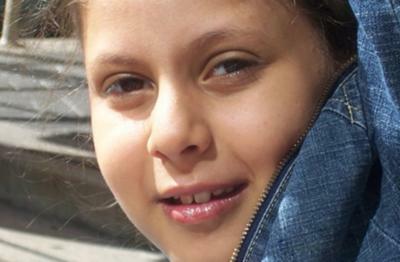 Sara is now about 11 years old and has suffered through many surgeries and chemotherapy treatments with the hopes that one day she will enjoy life like every other child. Sara's serious medical condition and positive attitude towards life has given me the inspiration and the motivation for creating my book. I am dedicating this motivating story to her. An amazing coincidence was discovered and I would welcome the opportunity to share it with you. The main characters of the book are a butterfly named Yara who helps Sara, the blue fish, through a difficult time. It is hard to imagine my sense of shock when the following occurred. I sent my cousin, Sara a signed copy of "Blue Fish's Secret Wish." Subsequently, Sara's mother e-mailed me saying, "Sara was so happy to see her name and her best friend's name in the book." I expressed my bewilderment about her reference to Sara's best friend's name being in the book. She repeated what she said, but I was still confused. a best friend named "Yara." They met years ago when Sara was about five years old and started receiving chemotherapy. Yara helped and encouraged my cousin as their friendship grew. It was spine-tingling as the feeling of awe flooded my senses. What were the chances that, just as in my book, Sara had a best friend named Yara who helped her through a very trying time. Amazingly, real life Sara and Yara met under extremely trying circumstances, just as the Sara and Yara in my book did. I had no idea of this coincidence and I can prove I had no knowledge of the real life Yara when I chose the name of the butterfly in my book. Beyond that, "Yara" is not a common name. A few days later, I spoke with Sara's mother again. I told her I could not stop thinking of this story and continued to wonder how or what caused something so amazing to occur. Suddenly, to my surprise, she shared another fact that astonished me and added even more to my overwhelming thoughts of wonder. She said, "Yara lives in a different country than we do, and she actually flew to Canada to be with Sara through her difficult time." The fictional Sara and Yara did the same. Was this indeed a coincidence, or perhaps does inspiration go beyond what we humanly know to be true? This story is very difficult for the human mind to understand. Even I, who have been involved from the beginning, have a hard time grasping the reality of it all. I welcome the opportunity to discuss my book or to host book signing events at schools, libraries, book stores and Children's Foundations to help raise funds for Children with Cancer. Besides to the fund raising events, I will also be donating for life 5% of my annual royalties from this book's proceeds.